Well today is the official pub date of my new book The Right-Brain Business Plan, even though Amazon has been shipping them out for the past couple of weeks (and the book has already been a #1 best seller in Amazon’s Small Business Plan’s category – woohoo!). So in honor of the official date, I’m excited to share a few, fun things with you to celebrate! My fabulous designer and illustrator Kate Prentiss and I collaborated on a fun little gift for all of you! 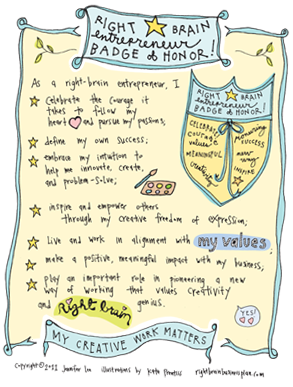 It’s a free, downloadable poster of the Right-Brain Entrepreneur Badge of Honor that’s in the intro of the book. It’s totally darling. Please print it out, hang it in your office, studio, or creative space and remember that you and your creative work matter! For the next several week’s I’m doing a blog book tour where I’m being interviewed or doing guest posts on people’s blogs. You can check out the schedule here. I did a podcast with Kimberly Wilson, a video interview with Laura Hollick, a guest post on Susannah Conway’s blog and Luna Jaffe of the Wild Money blog gave a wonderful book review. There’s plenty more posts to come on the blog tour (and some give aways, too!) so stay tuned! 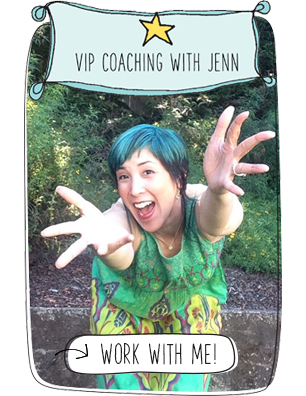 And of course if you’re interested in hosting me, please let us know – you can send a message to info @ artizencoaching.com with the subject line “blog book tour.” Thanks! 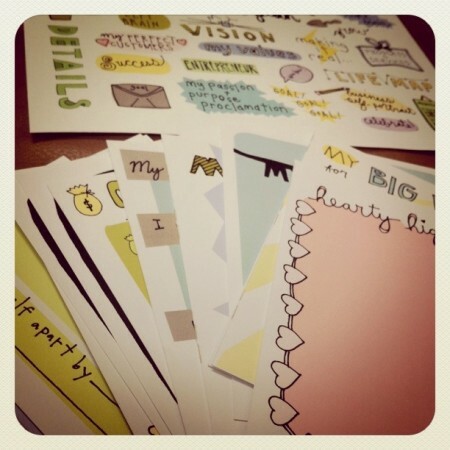 Plus a sneak peek… the next collaborative project that Kate and I are working on is a super cool kit to accompany the book so you can make your own accordion-style Right-Brain Business Plan. It’s still in the design and production phases, but I can tell it’s gonna be pretty awesome and I can’t wait to share it with you when it’s ready. 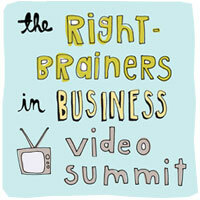 And next week is the first ever Right-Brainers in Business Video Summit. I’ve had such a great time interviewing my amazing guest speakers (including the fabulous Danielle LaPorte shown above, who shared such practical advice about making your dreams real). I know you’ll learn a ton from all of these experts’ wisdom. Plus, you’ll be inspired by the folks who will do a show and tell of their own Right-Brain Business Plans. We did a test run today with Tori Deaux, Michelle Ward, and Violette Clark to work out some of the technical kinks since we’re doing some cutting edge stuff. I’m really looking forward to connecting with so many creative entrepreneurs from around the world during this event! I hope you’ll join us – it’s free!